This is an EP that immediately jumped out at me from the email in my inbox. George Harrison is probably the most underrated of the Beatles, though lately his popularity seems to be on the rise. This EP is a tribute to the Beatle most overshadowed by the pairing of Lennon and McCartney, however this didn’t put him off perfecting his craft. It was only when the Beatles disbanded, that a veritable torrent of songs poured forth, resulting in 1970’s All Things Must Pass, triple album. Opening with “Long, Long, Long”, which while not my favorite Harrison song by any means, sets the scene for the EP, with it’s haunting reverb and stripped back production. “Behind That Locked Door”, originally had a kind of blue grass flavour, but here that is mearly hinted at, with a more sripped back acoustic sound. “Love You To” is one of my favourite Harrison, Beatle’s era songs, as it has the most wonderful harmonies. Whilst those are not present here, Yames’ interpretation is in keeping with the rest of the EP. There’s also a really dark overtone, that brings Jeff Buckley’s name to mind, especially the angst ridden screams. The song that proved both a blessing and a curse to Harrison, was “My Sweet Lord”. Whilst it’s Hare Krishna infused chants, proved moving, even to the most devote non believers, it’s the protracted lawsuit that ended up overshadowing the song. The cover here, whilst much shorter, has a wonderfully personal feel. Gone are all but the merest hints of the chants, but it still manages to be a moving song, and one for which Harrison will always be fondly remembered. “Ballad of Frankie Crisp (Let it Roll)” was always one of my favourite tracks on the All Things Must Pass album. Here’s it’s ably covered, but theres just something about the piano accompaniment that feels a little off. 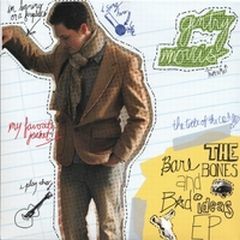 I’ve listened to this EP a few times, and it’s always the thing that jars me, albeit the only thing. Rounding off with the title track, of the 1970 album, you really begin to feel that this was a kind of memorial in music. The ethereal sound is present throughout, which pretty much means this will end up as late night, kick back and veg out kind of EP, which is fine by me as I sit here listening on headphones at nearly 2 in the morning. 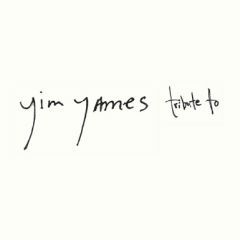 Conclusion: This is an EP that while clearly shows Yames’ love and respect for Harrison’s songs, some might find hard to access. Perseverance will leave you with a wonderful EP and a great homage, to a wonderful musician. Just wanted to give an update on Indie Launchpad. As you’ve probably noticed, reviews have slowed to a trickle. I’ve been trying to get some done over the last few weeks, but with best intentions, the spare time has just not been forthcoming. Indie Launchpad has always been a labour of love for me, so first let me put your mind at rest, I am not going away, or shuttering the shop, as I have done with a few other web properties. Indie Launchpad will continue, as will the podcast, but I have to try to reorganise my life and find a way to plug Indie Launchpad back in again. With this in mind, I’m going to place the podcast on indefinite hiatus, while I try to put to bed a few other time drains and then think about how I can move everything forward. On top of this, Google in it’s infinite wisdom, is playing silly buggers with Feedburner feeds, which this site uses, as does the podcast and I think I’d prefer to fiddle about in the background and make sure everything is running smoothly, before getting up a head of steam and potentially causing myself unnecessary headaches. So what does this mean for people who have already submitted material to Indie Launchpad, well nothing. Your music is still in review rotation and I will get to it when I find some time to actually start listening again. While I am not actively contacting bands and artists, you are still more than welcome to approach me through the usual channels, and partners with whom I have a working relationship, may still continue to submit. Anyone contacting me for review, will be made aware of this post and will then be able to decide if they still want to submit. So this is by no means a goodbye note. I just need to finally try to get my priorities in order and then I can focus on the things I truly love, with Indie Launchpad being very much a part of this. Anyway I will cross post this on the main Indie Launchpad site and the Podcast site, just so I reach everybody. I’m not going to post any artificial dates or timelines, suffice to say it will be sooner rather than later. You’ll still probably find the odd review being posted here, so that should put your mind at rest, that I haven’t vanished off the face of the earth. Thank you to all the artists and bands who have made Indie Launchpad a sheer joy. Not forgetting a very special thanks, to you, the reader, who hopefully has found many great bands and artists to purchase music from. Here’s looking forward to a reinvigorated Indie Launchpad coming to a web browser near you soon. 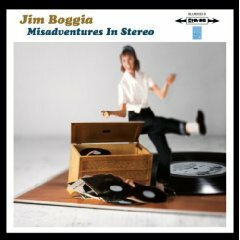 The instant I had the fortune hear Jim Boggia sing, I knew in an instant that this was going to be a special album, that I needed to get my hands on. This 10 track CD opens with “Johnnie’s Going Down” and I couldn’t help but draw comparisons to one of my favorite current indie artists, Mike Viola, solo artist and member of the Candy Butchers and Lurch. This turned out to be quite an apt comparison as Mike and Jim gig together quite a bit and I get the feeling they are quite good friends. “To and Fro” also shares that Mike Viola pop vibe, and is truly a wonderful track. It was the third track, “No Way Out” that really made my ears prick up, as this is where I feel Jim really begins to come alive. While the previous two tracks are more conventional pop, this track has a much more soulful, earthy tone. In fact it reminded me a lot of Rod Stewart, but the Rod Steward of old, when he was in the 60s band, The Faces. “So” is another track that really blows me away, as there is a wonderful emotive quality to Jim’s vocals that are quite mesmerising, as indeed they are for the following track “Nothing’s Changed”. “8 Track”, shakes things up a bit, but this is more rock, that the poppy sound of the first two tracks. The title of the song is very apt, as there is a great 70’s rock vibe to this track, very reminiscent of George Harrison in his solo days. Talking of George Harrison, be sure to hunt around on Jim’s site for a cover of one of my favourite Harrison songs, “Wah Wah”. It’s funny how one minute I can kind of criticise for sounding 70’s, 80’s etc, but the key is being able to use these influences and firmly place your stamp on them, which Jim does exceptionally well. “Listening to NRBQ”, has that very 70’s AM sound and it just brings visions of convertibles and wind in your hair, on a sunny day, with the girl of your dreams in the seat opposite. “Chalk One Up for Albert’s Side”, again has a hint of in this case, Steely Dan, but it’s the wonderful vocals, that firmly have the name Jim Boggia in your head as you are listening to them. The penultimate track, “On Your Birthday”, is a very short and whimsical track, and whilst pleasant, feels a little like a filler. This however cannot be said of the final and in my opinion, best track on the album, “Three Weeks Shy”, a story of a soldier killed 3 weeks before returning home. Those Rod Stewart syle vocals return, to this final and indeed longest track, at a tad under 7 minutes, an amazing way to draw a wonderful album to a close. Conclusion : An album that starts of one way, but turns about face, from pop to more emotive rock. Certainly an artist whose CD will remain in close proximity to my stereo for a good while yet. If you like your vocals with heart, whistle on down to your music outlet of choice and whack down some folding stuff, pronto. 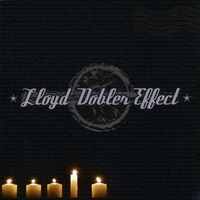 Lloyd Dobbler Effect sounds like something Doc, from Back to the Future would be looking for to generate the jigawatts of electricity need to bounce around in time. In fact it’s a Washington DC based band, that have a wonderful and energetic sound. There’s certainly no lack of musicanship on the 15 tracks on this album, which is not surprising as the band does around 200 gigs a year. With a hard rock sound, softened by more pop biased vocals, there is a nice balance between blowing the cobwebs out of your ears and lulling you into a false sense of serenity. The album opens with “Have Faith” which for me, has a oddly soft rock feel, but really loosens up when the chorus chimes in. This is a funny track, as I could really feel it growing on me as the song progressed. “Radio” for me is where things really seem to fall into place. For a lot of songs on the album, I kept getting an 80’s slap across the head. It’s nothing really definitive, just a riff here and a lead in there. While I really enjoyed the album, there was not enough here for me, that had a definitive stamp on it, a sound that would would allow me to pick out this band on the radio for instance. That being said, there’s some tracks on here that are real gems including the previously mentioned “Have Faith”, “Radio”, “The Past” and “I Have the Touch”. Conclusion : There’s no denying the talents of this band. With such a touring schedule, I imagine they are pretty hot to see live. It will be interesting to keep an eye on this band, to see how they develop, but if you enjoy 80’s/90’s rock / pop then I think this will be right up your street. Gentry Morris is an artist from Bangor in Ireland, who I’ve been hearing a lot lately on the various podcasts I listen to. It’s funny how they all seem to have targeted in on the first track on this EP, “Rene”, which is a pleasant song, but only shows a mere glint of his amazing talent. When I first heard him, I was at once reminded of one of my all time favourite indie artists, Paul Melançon. There’s a quality to his voice that is eminently listenable and when he lets go, there is an amazing flow of raw emotion. “Rene” is more a pop song, with a loose flow, which is enjoyable, but I saw that glimpse of brilliance and wanted more. The four tracks that follow, could really hold this EP together all on their own. “The Box” is a fairly laid back track, with minimal musical accompaniment, but man when that voice starts to sing, there’s an incredible power, that you know is being harnessed and the reins skillfully let out when needed. “My Heart” shows a looser side and is more of a pop style I prefer when compared with “Rene”, which feels like a track produced to cater to peoples needs, rather than “My Heart” which is more Gentry Morris, well that’s my take anyway. The last two tracks that close the EP are very laid back and melancholic, but for me this is when the EP really begins to smolder. “The Waltz” is where I feel Gentry’s voice really starts to come into it’s own. The production on the vocals is great, allowing them to soar, without distortion or hindrance of the music. “Thank God” is much less melancholic, but a real slow burner nonetheless and the perfect track on which to close. Conclusion : A stunning EP from an artist that deserves to go far. I’m really hoping to hear a full length album in the near future, from this most exceptional talent. Migrating Birds, may not be a name that rolls of the tongue, but the music rolls off the ears, like a silk scarf, flowing down a sows ear. OK, maybe not the best of analogies, but hey nobody said I was perfect. Suffice to say, this four piece band have a wonderful sound, that at times harkens back to Gong, albeit the more intelligible, musical Gong tunes. 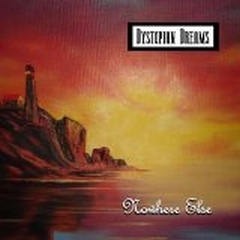 They also remind me of a more recent band, Hopewell, with an at times, almost ethereal, smattering of the psychedelic. This four track EP opens with “Fearless”, which starts very deceptively, sounding very much like the earlier mentioned Hopewell. The track then morphs into something a bit more upbeat, but with a very intriguing vocal style. This for me is the standout track on the EP, and very rightly placed as the first track on the EP, smacking you squarely in the face. The track “Atari vs Commodore” came as something of a surprise, as it has a strong British overtone, with mention of pram wheels and Paninni stickers. It’s roots are firmly in the days of the 80’s computer scene. It’s a fairly whimsical track, but really strikes a chord with me. I have to say though, I’m a little disappointed they didn’t even mention the ZX Spectrum, cos we all know the Speccy was the best. Delving a little deeper though, I found the band’s members each hail from a different country, England, France, Canada and the US, which goes a long way to explaining this eclectic release. “Summmer’s Treasure” again has that vocal style tinged with psychedelic angst, but it is so easy to listen to. I have to admit though, this may not be the case if this were the style running predominantly through a whole album, as I think things would then begin to sound very samey. 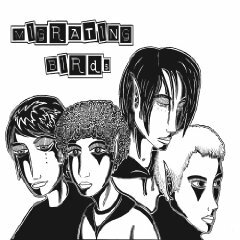 The EP rounds of with the title track, “Migrating Birds”, a more upbeat, rock number which again sounds like it’s influenced by the BritPop sound of the 90’s. It’s a great way to round things off. Conclusion : A great first EP, that shows the bands ability to keep the listener on their toes. Looking forward to a full length release hopefully in the near future. Certainly a band to watch out for. 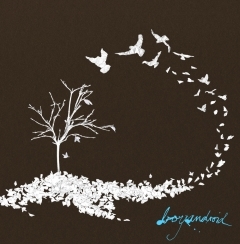 I love discovering new bands, especially when they are a little off the beaten track, as are boyandroid, a four piece band from Munich, Germany. As in the best tradition of Abba, you’d never know this band were from Germany, in fact they remind me a lot of Panic at the Disco and to a certain degree, Fall Out Boy, with their own style of emo/pop/rock. The EP opens with a title very reminiscent of Panic at the Disco, “Magnify Insects Under Bright Light”. It’s an OK song to open with, but lacks a certain something. “Thommy” is an interesting track, that has a nice progression. It’s fairly laid back and mellow,but does have it’s moments of fire, with a very interesting, almost Hammond organ sound. “Bottles as Ashtrays”, apart from having an awful title, is a wonderful track. The emo sound is a distant memory, replaced instead with a wonderful, style of pop, that could almost be ColdPlay on speed. It’s also the shortest track on the album at a tad under 4 minutes, the other tracks being on average 5 minutes. “Goodby and Farewell” is for me the track that pulls everything together. It’s got a wonderful, intro that lasts well over a minute, and has that wonderful hypnotic monotony that I love. A cracking track. Bringing the EP to a close is “Centurion”. At well over 6 minutes, this is the longest track on the album, and again has that hypnotic style I love. It a track that knows where it wants to go, but is in no hurry to get there. Conclusion : A wonderful German discovery, which I hope isn’t the last. I much prefer the latter half of the EP, and although I like emo on the whole, feel this is a band that would do much better to push their own style of rock/pop. With a ton of unsolicited gems coming in from various Indie Launchpad partners, I sometimes have to put together a random sampling from various places, sit down and see what I’ve got. This was the case with the new EP release from Plushgun, and I have to say I was pleasantly surprised. Not that I should be. In building up the relations I have with some of the greatest labels, management and publicity companies, it should come as no surprise that they pretty much only send me stuff they know I’ll like. Opening with “Just Impolite” again, it’s the production that hit me first, with a wonderful 3D surround sound, that really impressed me, especially seeing as I wasn’t wearing headphones. The style of music is very reminiscent of OMD, or Orchestral Manoeuvres in the Dark for the unenlightened, who weren’t old enough to live through their music in the 80’s. That 80’s sound is very prevalent, but it reminds me more of 80’s soundtracks, especially the moments in the movies, that have that double edge, between despair and hopefulness. Think John Hughes and any one of his great movies from the 80’s like 16 Candles, Trains Planes and Automobiles, and Pretty in Pink and you’ll be pretty close. The second track “14 Candles” is almost an indirect nod to this 80’s genre. Don’t however think of this as some cheesy throwback to the 80’s, this is very much music for today, but with a heavy influence that’s been embarrassed to the full. “How We Roll” takes the 80’s influence to the next step, going for a more frenetic, power driven beat and it’s just a wonder to behold. The final track “Without a Light” begins almost like a Vangelis track, but then in kicks the drums and heavy keyboards and you realise that this EP is not going our without some kicking and screaming, metaphorically speaking anyway. Conclusion : A wonderful find, from a wonderful artist. 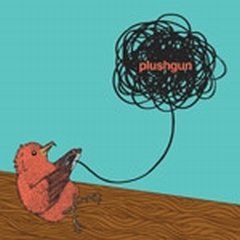 Plushgun have a new album, “Pins and Panzers”, due in Feb of 2009. I shall be looking forward to that with baited breath. This is one of those CD’s that blurs the line between CD and EP. With 7 tracks, and a running time of a tad over 31 minutes, to me this is a short album, but the band call it an EP, so who am I to argue. I put this EP back on, after writing another review, and the thing that smacked me was the gorgeous guitar work, which was mixed just right, giving the most wonderful sound, real ear candy. However the same cannot be said for the vocals, which for me, were a little washed out in sound and a little uninspiring lyrically. Actually lyrically uninspiring is probably a little harsh, as it’s quite difficult to actually concentrate on what is being sung. This also pretty much describes the song that follows, “How Fate Works”. With “Comablues” the vocals problems seem to have been addressed to some degree, but I have to be honest, by this stage it’s not the vocals I want to hear, it’s the wonderful, and rich sounding music. For me, these tracks would really pop, if the vocals were totally removed. I hate sounding harsh, but when you get a disconnect that’s so great, maybe it’s better to disconnect totally. That being said the EP seems to be really warming up, with “Sweet Humanity”. The vocals manage to hold their own and this is the first song, that feels like words and music are complimenting each other, rather than fighting for top billing. Similarly “Keep Coming Back” is definitely more refined and feels a more complete track. “I Would” has a fairly different music style, and is the first track where I feel the vocals are the driving force. The production is much more balanced and I think should give the band a benchmark to work too. Finishing off with “The Aftermath” again, it appears that the latter part of the EP, is where the vocals really come together. Whatever hangups I have about the vocals, the music throughout is first class, musically and in production. Seeing as this is an all acoustic demo, I have to say it’s pretty well done and with a little bit of work on the vocals, this EP could be amazing. As it is, it’s still rather good and certainly deserves a place in your collection. Conclusion : A great EP, slightly marred, but managing to redeem itself with wonderfully vibrant and lush music. 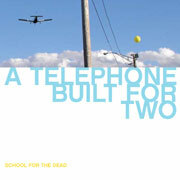 Although I only reviewed the last release from School for the Dead, back in January, it was actually released in 2004. To say I wasn’t expecting to see another release so quickly after the last review was a bit of an understatement, but there in my mailbox, was the new release, A Telephone Built for Two, and I have to say, after the previous album, I had high expectations. The CD opens with “Periscope” and that infectious brand of pop hits you square between the eyes. I made the comparison before with the Indie powerhouse group, They Might Be Giants, and indeed there is much the two bands have in common, but there is also definite School for the Dead DNA running through these songs, which is no doubt mostly down to Henning Ohlensbusch, principal songwriter, lead vocalist, guitar, etc. This guy has music in his pores and it shows. That’s not to forget the rest of the band, who manage to round out the sound and remind you it’s not all a one man band. With some bands, probably quite unfairly I’m looking for that killer track, one that burrows into my brains. With A Telephone Built for Two, I was pleasantly surprised to find not one, but three such tracks. The first is “Save My Place”, a wonderfully simple song, but it really manages to burrow like a happy maggot. Next is “Journal of Lies”, which has a wonderful quirky keyboard arrangement, which reminds me of the soundtrack to the kids movie Bugsy Malone. The third track is “Superhero”, which I have to admit really has that hint of They Might Be Giants flavour, but it’s certainly a nice condiment, making a track to savour. There were a couple of tracks, that felt a little unbalanced with the rest of the album. The first of those is “Feels Like I Should” with some very forgettable 80’s sounding synth, featured at the beginning and towards the end. The other is “Back to School” with a very awkward country guitar accompaniment, which was certainly not my cup of tea. It’s funny though, as the song itself is very pleasant, but every time that guitar kicked in, I could feel those hackles rise, so to speak. “Disgruntled Lover” was also a bit of a no no for me, or so I thought, as it has a kind of false, rockabilly start, which I hated, however after 16 seconds the song starts anew, and even though there is still a rockabilly/country flavour it’s not as alarming. The album rounds off with the wonderful, “Thinking of A Time”, which at first could be the theme tune to Flash Gordon, and then almost morphs into Dolly Parton’s “9-5”. Surely two of the most incredible comparisons to be given to the same song, but it works wonderfully. Conclusion : So were my great expectations met? They certainly were, with more great pop from an artist I thoroughly enjoy hearing from. Looking forward to what the next album brings, hopefully sooner that 4 years time.